Maybe you owe Steve Ditko nothing, because he wouldn’t have accepted your money, unless it was a fair trade for his work. But pop culture owes him big time, not just as co-creator of the Amazing Spider-Man, but of Dr. Strange, and much more for Marvel. That’s two major movie stars alone. Ditko, who was found dead in his apartment on June 29, eschewed the spotlight, preferring to let his work speak for itself — and for his strong sense of morality. He was 90 years old. Even if you’ve never read the comic, you’ve seen the moment, as it was paid homage in Spider-Man: Homecoming. 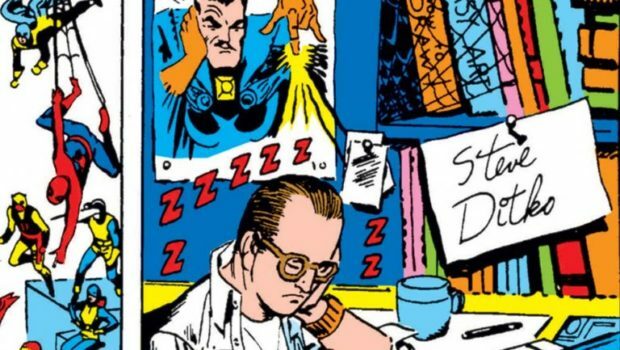 Ditko and Lee allegedly parted ways on the book over a few differences . As the story goes, Ditko believed that Spider-Man should end with Peter Parker graduating high school and putting aside being Spider-Man, because high school was the last time that a kid could get away with being a screw-up. 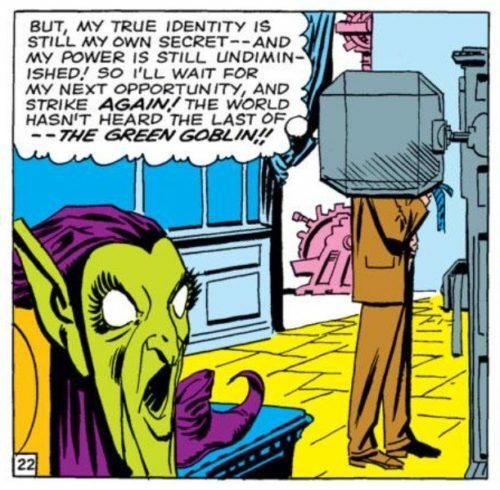 But even before that, there was tension over the identity of Spider-Man’s iconic arch-enemy, the Green Goblin. The artist believed that the master criminal should just be someone random, while Lee (and probably a thousand studio executives) believed that the Green Goblin should turn out to be someone Peter knew — specifically Norman Osborn, the father of one of Peter Parker’s high school friends. That conflict drove Ditko away, and drove the plots of Sam Raimi’s Spider-Man trilogy, as well as Amazing Spider-Man 2. Ditko refused royalty payments. Despite Lee also claiming a hand in creating Doctor Strange, it’s likely that character leaped entirely out of Ditko’s head and onto the pages of Marvel’s Strange Tales. It’s interesting to note that in Ditko’s early drawings of the character, it appears that Doctor Strange was intended to be Asian, but by the time the character was given an origin, Stan Lee may have stepped in and pasted a Lost Horizon trope upon it. 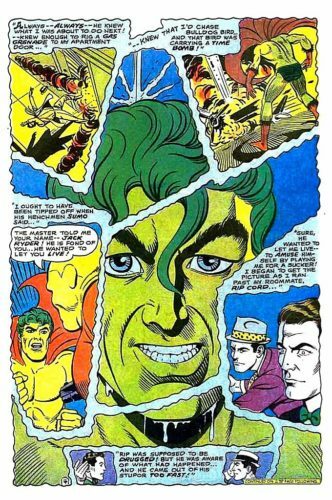 After drawing several books for Marvel, Ditko did some work for Charlton Comics, reviving some characters in that publisher’s “Action Hero” line, and creating a new one — The Question. His hand was in most of the heroes Charlton published, and they inspired Alan Moore and Dave Gibbons in creating Watchmen. 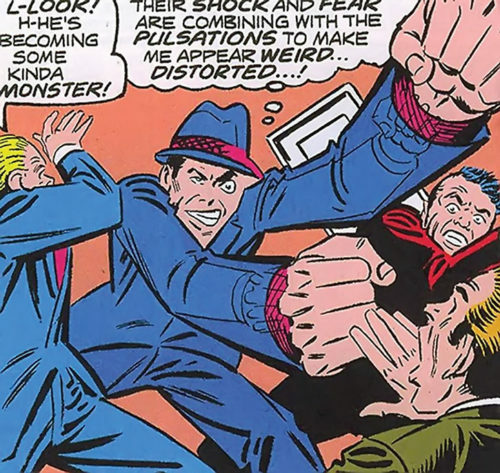 Though Moore and Gibbons’ characters have become well known on their own, they owe a heavy debt to Ditko’s work. The Question seems a more reasonable Rorschach. 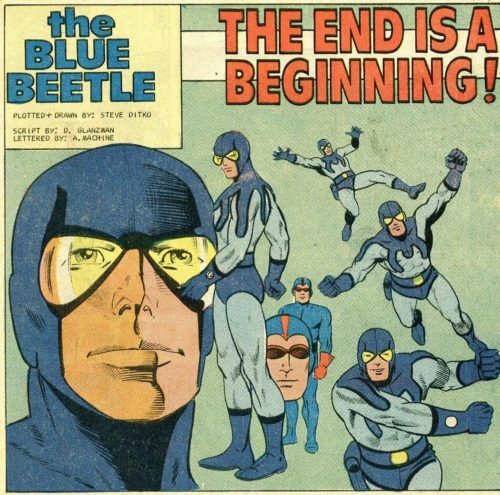 Blue Beetle was a hero whose powers were really in his athleticism and inventiveness, and, like Nite-Owl, was also a second-generation hero. Ted Kord, however, was inspired by his mentor Dan Garrett, who did actually have superpowers as the Blue Beetle. 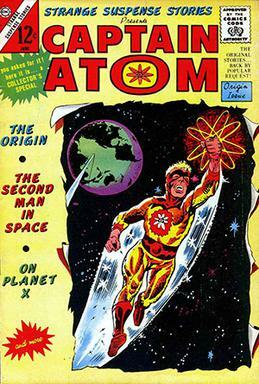 And there would be no Dr. Manhattan without Captain Atom, a character DC has tried reviving several times after purchasing the Charlton stable of Action Heroes. Ditko also created some indelible characters at DC, including a personal favorite — The Creeper. And Hawk and Dove — two brothers who represented opposite sides of the ideological arguments of the 1960s — Hank Hall was a man of violence, and his brother Don Hall was a pacifist. A later iteration of the duo will be appearing on Titans, the flagship show of the DC Universe streaming service. A character that eventually found a home in the Vertigo universe and now Gerard Way’s Young Animal imprint, Shade the Changing Man appeared in the late 70s — somehow both more restrained and yet weirder than what other writers would do with it in recent years. Even when not drawing his own characters, Ditko’s influence was unmistakable. He picked up a few issues of Marvel’s Micronauts, written by Bill Mantlo. 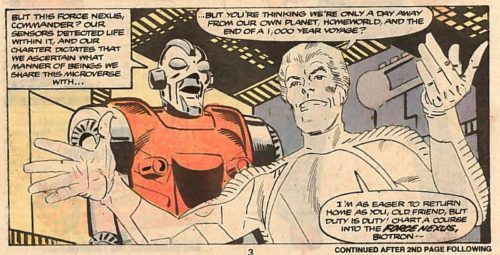 With his pencil, the Micronauts became his. 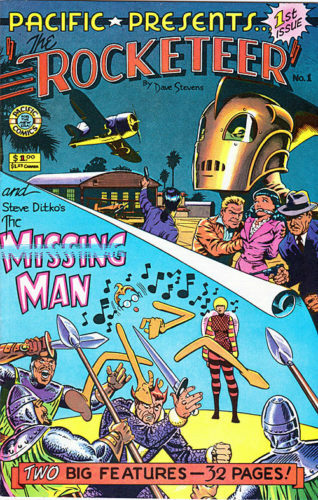 He dabbled in a few that never quite caught on, such as this feature he did for Pacific Comics — “The Missing Man.” It kind of defies description, but it had an energy, and is notable for sharing a book with Dave Stevens’ all-too-brief Rocketeer. But one of his most influential characters you would probably not have predicted would become so big. 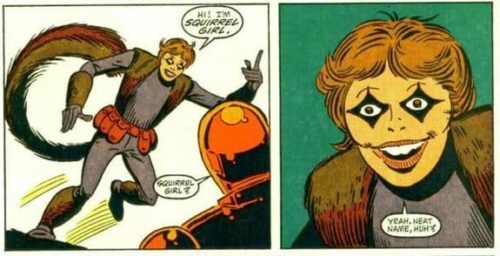 It’s Ditko who designed the look of Doreen Green, aka Squirrel Girl, who teamed with Iron Man in a back-up story to fight Doctor Doom, and was thought to never be seen again. HA! So what do you owe Steve Ditko? To honor a creator of Spider-Man, Dr. Strange, Shade the Changing Man, and Squirrel Girl, you should sit down and read some of his comics. His major DC work, including miscellaneous science fiction, fantasy, and horror stories, was collected a few years ago, so you can read a bundle all at once. And take a gander at this documentary BBC presenter Jonathan Ross did in 2007 for BBC-4 — Searching For Steve Ditko. It will teach you everything you need to know about Ditko.